The Hooblers are from Ottawa in Canada. Five years ago they released their first record Can You Do This? 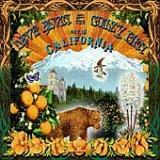 Recently they have introduced I Hate Folk Singers to the world of rock 'n' roll. 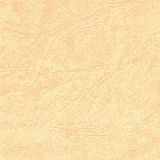 Think of The Counting Crows without too much crying, the Tragically Hip without a schizophrenic singer, and Neil Young without a Neil Young, that is what the sound of The Hooblers is about in a nutshell, ready-made guitar rock for hardworking men. Well, it’s not just rocking for fun, because now and then The Hooblers pull out all the plugs for an acoustic intermezzo and that’s when things are getting really serious. 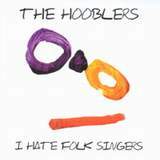 The Hooblers’ I Hate Folk Singers is as an album diverse and as much highly emotional, even though you've heard this song before. René van Barneveld used to play guitar with Dutch rock group Urban Dance Squad, but it seems that he has found a new shelter behind pedal steel with The Yearlings. 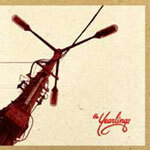 Showing the strong influence of cult country rockers Uncle Tupelo, as well as an excellent understanding of the 90’s guitar-rock vocabulary, The Yearlings’ long awaited debut album echoes their American heroes in every single inch. Whereas this collection of twelve songs perfectly demonstrates the art of reinventing music, The Yearlings sound refreshing. Maybe the best thing about The Yearlings is that they don’t try to be that inaccessible underground rock band, but what you’ll hear is a young band surrounded by a natural radio-friendliness. Here is how traditional country music and today’s rock ‘n’ roll are easily brought together in twelve convincing pop songs. Of course, it all sounds a bit like the cow punk of Uncle Tupelo and Son Volt, especially the opening tune Stick Around reminds us of Son Volt’s underrated masterpiece Trace, but there is definitely nothing wrong with that. The Yearlings have studied their heroes well. It’s hard to find a trace of their European roots, because the twangy vocals and honky-tonk music don’t give a clue that their home is in the flat heart of The Netherlands. More than a year ago I called them the most promising Dutch band in what is known as alternative country. This album is for the non-believers. Play and enjoy. With an extraordinary and heart-warming cocktail of pre-war blues music, kitschy country and authentic jazz samples, The Asylum Street Spankers - an idiosyncratic collective from the heart of Texas - recalls the breeding and good old days of Tom Waits. Though it’s anything like Waits, because Waits’ melancholy and infinite sadness have been carefully replaced by a weird sense of humour. The Asylum Street Spankers demonstrate how to bring a smile into this world of heartbroken troubadours and losers. The instruments that are used on Spanker Madness are anything but rock ‘n’ roll, such are the bizarre lyrics and The Spanker’s touch of extravaganza. There is a ukulele, mandolins, singing saws, and even washboards can be heard, but the most important instrument here is an ancient water pipe to take the listener upwards. Sometimes you’ll be surprised by folk sounds or an exotic melody from Hawaii. Anything seems to be possible with The Spankers. The most remarkable tunes are High As You Can Be, the J.J. Cale-ish Blade Of Grass, Winning The Warm On Drugs (with a melody that is borrowed from Ghost Riders In The Sky) and Amsterdam, which song titles all reveal that the green, green grass of The Netherlands was the main influence of Spanker Madness. Once you are on higher grounds it doesn’t really matter that there is a singer who suddenly starts laughing in the middle of a serious song. This is not something for everyone.